The Kore Mega Range Sprocket is an economical and handsome way to dramatically extend the range of your 10 speed drivetrain. This expander cog simply slides in behind an 11-36 tooth cassette, supplying 11% more gearing range. 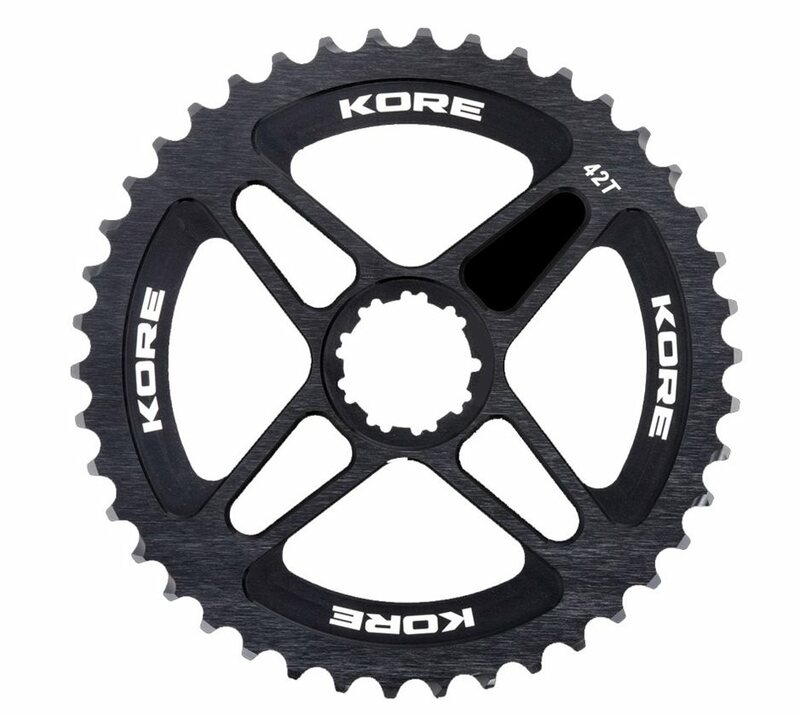 Kore's Mega Range Sprocket can be used with their Stronghold Chainring to easily transform your 2x10 gearing setup into an efficient 1x10 setup, eliminating the weight and clunk of a front derailleur, front shifter, cable, and inner chainring.